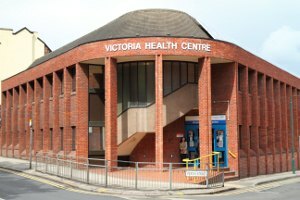 The Victoria Health Centre is on Glasshouse Street in the city centre, just behind the Victoria shopping centre [map]. There is limited “pay and display” parking on nearby side roads and the Victoria Centre Car Park is nearby. Wheelchair access is by the front door and there are toilet facilities for the disabled. Please note that the telephone number of the Contraception & Sexual Health Clinic (which is also in the Victoria Health Centre) is 0115 883 9000.